When you change your water and add in the other biochemical factors, the foods we eat, the nutrients, and supplements, it optimizes the body’s ability to function. 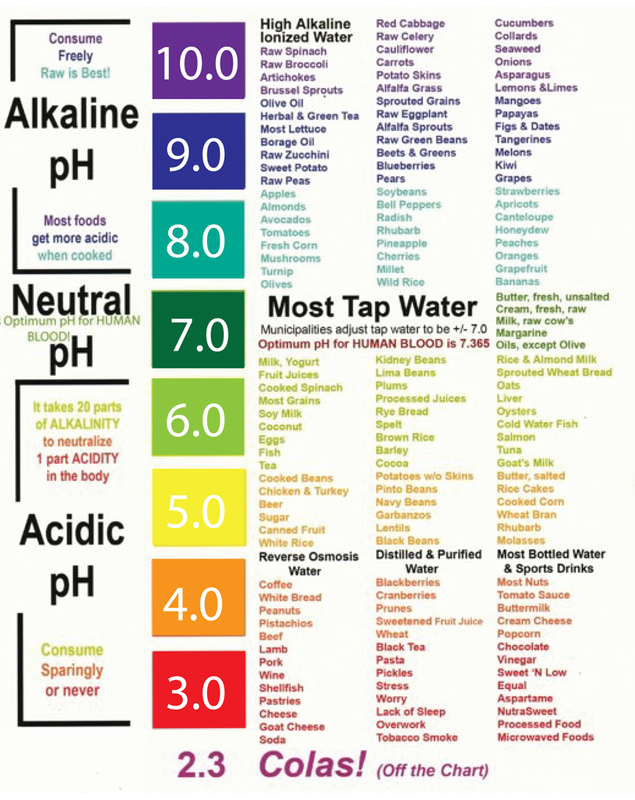 Alkaline Water has four major buffering minerals, calcium, magnesium, sodium and potassium. All accentual in maintaining good health. 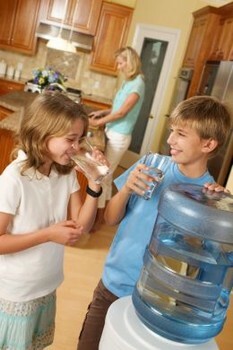 Jion our drinking water club and save money. Touch-Screen Customer log-In access for your convenience and simplicity. 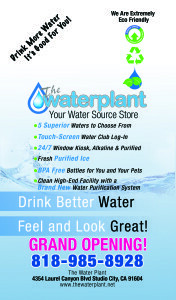 Choose from 5 different waters and save up to 20% on your water. 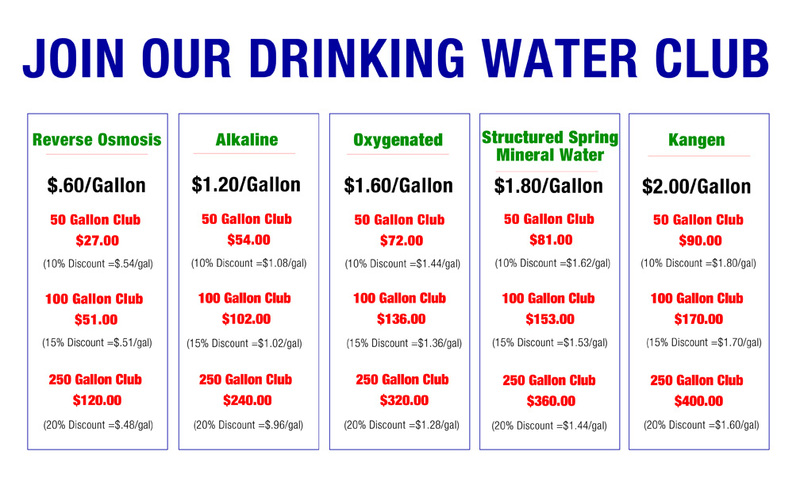 If you like having fresh health water to drink and want to save on your drinking water cost, join our our drinking water club. 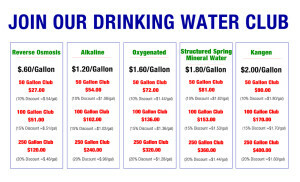 You choose on the water you want how many gallons. You will get a log-in password (it’s your phone number) and log-in using the touch-screen. You will see how many gallons you have purchased and you can then minus the amount you need right from your account. You then can print a receipt showing how many gallons you took and how many are left. You can even print a report of your account activity and ad others to your account. It’s great if you are running errands and don’t have a lot of time to spare. No contract, you can ad more gallons and more waters anytime online. What is in your TAP water Los Angeles? We have been concerned about the Municipal Drinking Water supply for some time now. 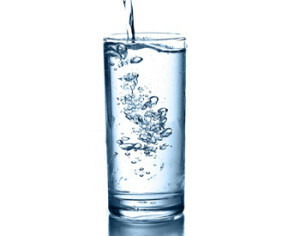 One of the main reasons you should drink better water is the smell and appearance of our TAP water. No offense TAP water but I don’t think you taste very good. This drinking water quality report shows results of tests conducted by the water utility and provided to the Environmental Working Group (EWG) by the California Department of Public Health. It is part of EWG’s national database that includes 47,667 drinking water utilities and 20 million test results. Water utilities nationwide detected more than 300 pollutants between 2004 and 2009. More than half of these chemicals are unregulated, legal in any amount. Despite this widespread contamination, the federal government invests few resources to protecting rivers, reservoirs, and groundwater from pollution in the first place. 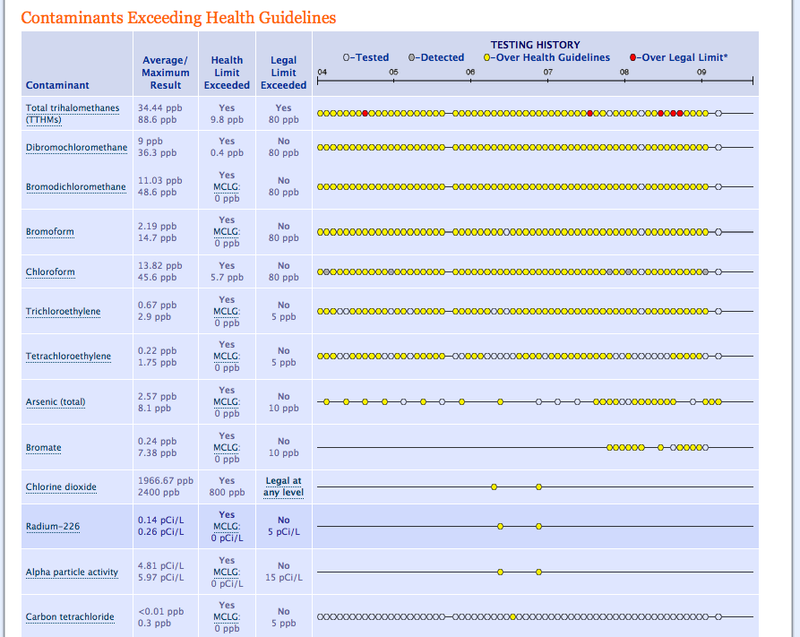 The information below summarizes test results for this utility and lists potential health concerns. 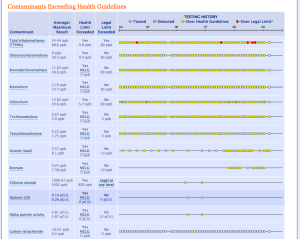 You can actually put in your ZIP code to find out a list of chemicals and toxins along with minerals. 1. Tastes and smells great. 2. Confidence in purity (comes from tested onsite water source). 5. 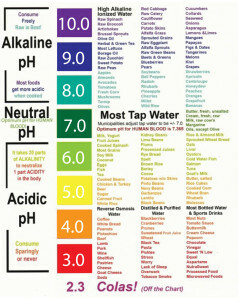 Rids your body of toxins and acidic wastes. 6. Enriches your body with beneficial minerals: Magnesium, Calcium, Potassium, Iron, & Zinc. 8. Optimizes your body’s ability to function at its highest level. 9. 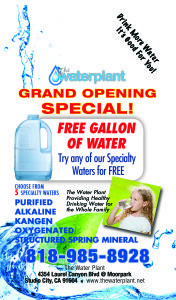 Alkaline water is a natural antioxidant which helps prevent premature aging of cells. 10. 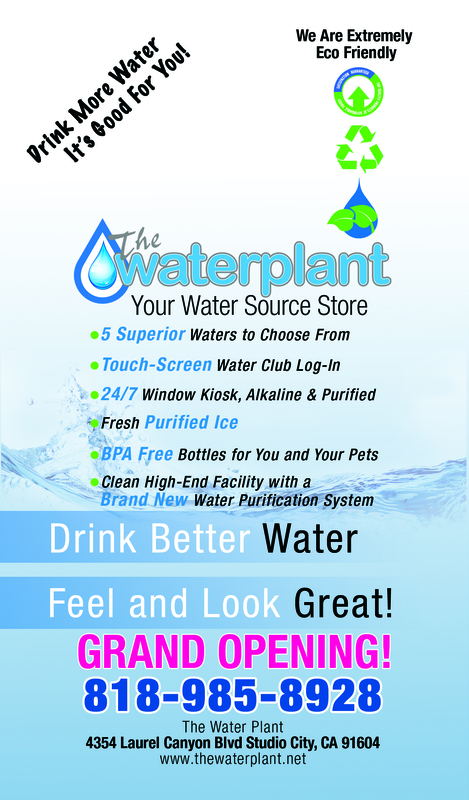 You will defy your age by drinking Alkaline water. 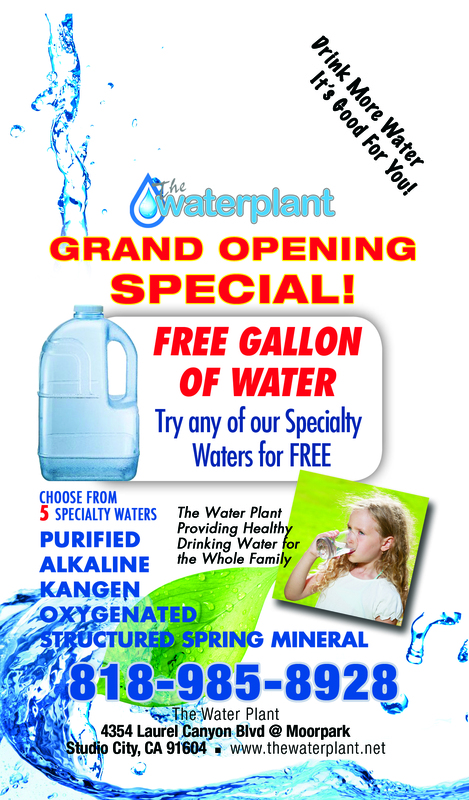 Can You Benefit from Oxygenated Water? The two greatest needs to the human body are oxygen and water. Listen from the time oxygenated water enters the mouth, oxygen begins to be absorbed into the body right into the bloodstream. This absorption continues all the way through the digestive system. Since there is nothing but water and oxygen, the body does not need to draw any energy from the body in order to process the drink. In fact, the body realizes a jump in energy because of the water and the oxygen. So not only does oxygenated water help people while they are exercising, it also helps people feel better and be healthier. Oxygenated water is good for the body in the short term and in the long run. There are great benefits to drinking oxygenated water. These benefits include having more energy and staying healthier body and mind. 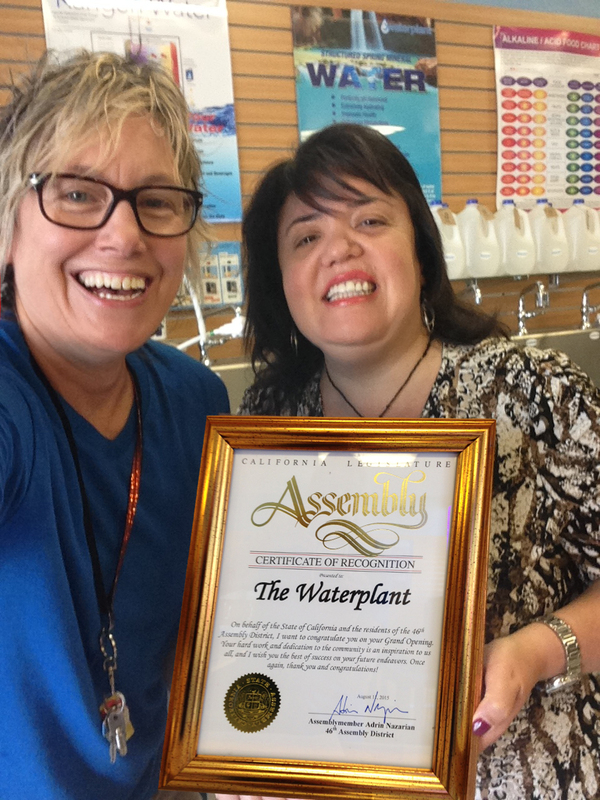 The Water Plant is now recognized by the California Legislature Assembly 46th District. So proud. 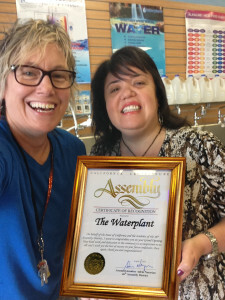 Leslie Pereira pictured with Assembly member Talene Dermenjian. Thank you City of Studio City, CA. 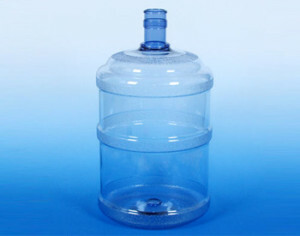 Purchase a Crock and Stand plus 2 bottles (5 gal, 3 gal 2 gal crock bottles) and receive 50 Gallons of water of your choice!